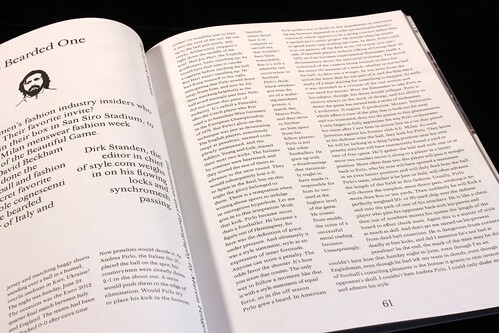 It’s all a bit busy here at magCulture, but I’m excited to share this week’s Magazine of the Week. ‘Football-Fashion Magazine’ Sepp is a long-term favourite, and this latest issue arrives in celebration of the recent Confederations Cup in Brazil. As usual, the mix of footballers and models is overseen by fashion guru Godfrey Deeny, but with the return of art director Mirko Borsche this is a particularly strong issue. Regulars such as a round-up of young models from competing countries and Karl Lagerfeld’s drawings of footballers mingle with reportage from the stadia and beach. The cover shown features Brazilian transgender supermodel Lea T, and an alternative cover has footballer Lucas Moura. 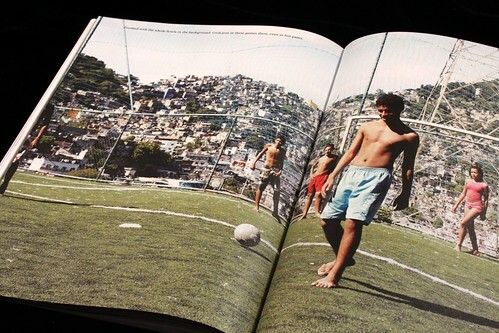 Karl Lagerfeld’s footballer portraits open with Brazil and Chelsea star Oscar (above). 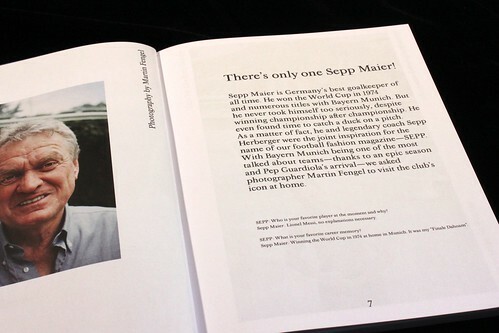 I had always assumed the magazine name was a tribute to UEFA chief Sepp Blatter, but the issue makes clear the name comes from German goalkeeper Sepp Maier. I stand corrected! Mirko Borsche’s typography breaks all rules and logic but creates a strong monochrome identity that works well alongside the colour imagery. A magazine could hardly be more different in every aspect to our last Magazine of the Week (MidCentury Magazine), yet is still makes a powerful case for the way text, image and design can create editorial personality.